I know I should not buy anymore watches, but I just couldn’t help myself. It’s hard to pass on this one because I got a very good deal with this watch. I was with a friend today, strolling and I didn’t have a plan to buying anything. She already told me she was looking to buy some watches to send to her hometown. Luckily, the store that we went to was having a sale going on. I was really impressed with all of the prices for their popular brands. My friend kept telling me to buy the watch because it was really good looking and for the price I was really excited to buy it. I can’t believe how much the price was she told me and so I grabbed it and went to the cashier. I got another watch for my collection that I wasn’t plan to buy. I was really happy though and I’m glad I bought it because my hubby just loved it. The funny thing was, when I chatted with my sister that night, I showed it to her on my webcam and she really liked it too. As a matter of fact, she will buy from me if I will sell it to her. I really don’t know and I might just give it to her the next time I visit my family in the Philippines. nice watch! i also like it. Visiting thru TT here. 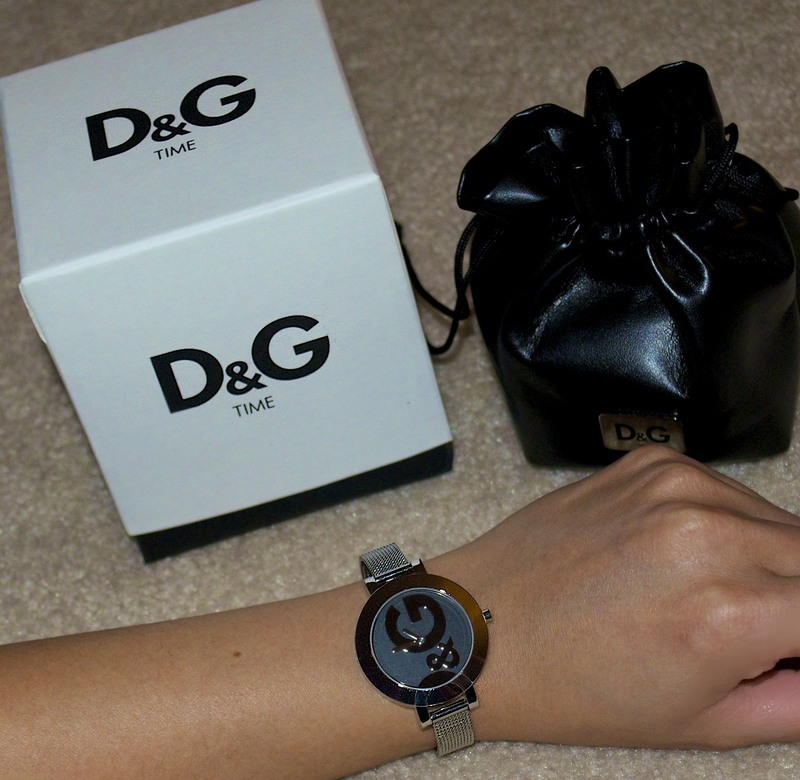 I love D&G! preferably their perfumes...saw your blog @ WWB Tales from my so called Life tc! thanks for the comment sw0605 :)) care to exchange link?? ?